Access multiple information sources from within your Zendesk console. Deliver more relevant responses. 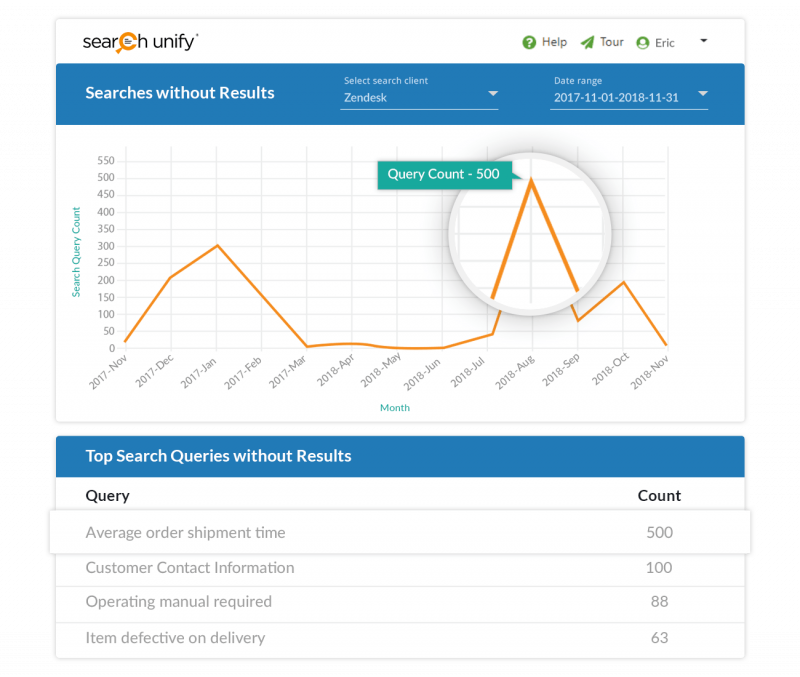 SearchUnify empowers agents to fasten ticket resolution by leveraging AI. It fetches data from multiple sources within the enterprise and increases support efficiency. SearchUnify integrates all your content sources with your Zendesk Support console. This enables your support agents to access content (wherever it resides) from the Zendesk console, hence reducing response time. 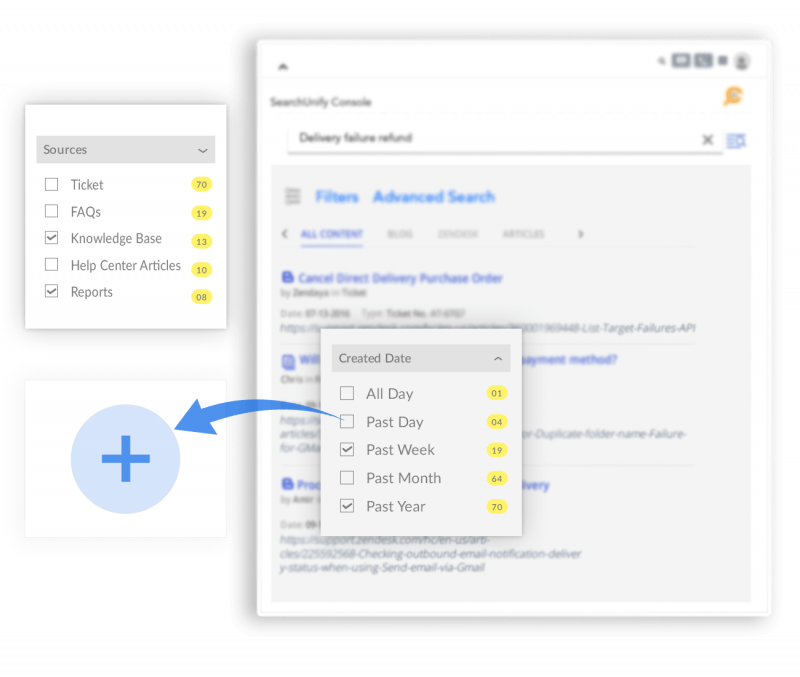 SearchUnify is equipped with AI-powered search algorithms that automatically rank your ticket-resolving content based on its relevance to the query. You can also manually tune the results and customize their ranking. Nothing disappoints your agents more than when they can’t find the relevant response to a user query. 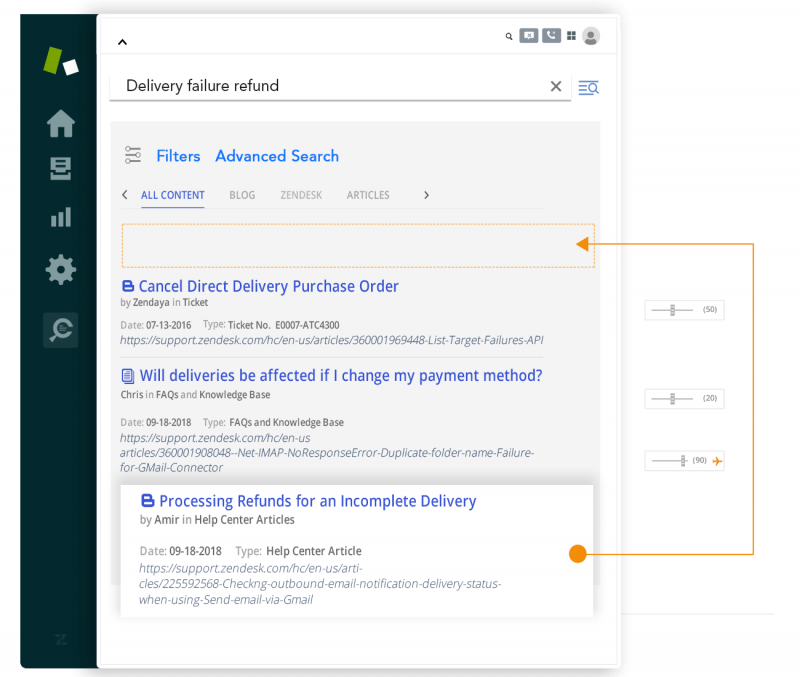 With deep analytics and search insights provided by SearchUnify, you can identify and fill these content gaps and leave no important query unanswered in the future. 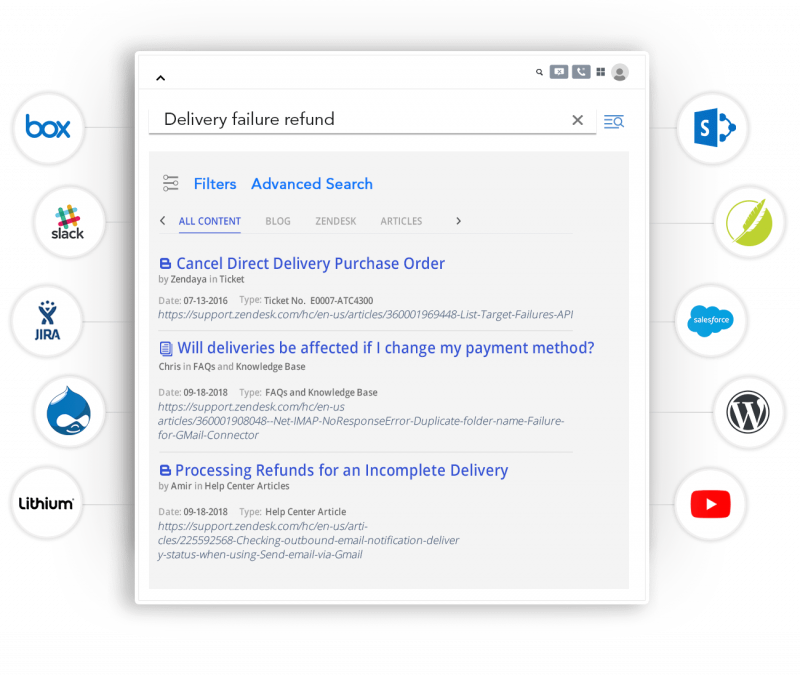 SearchUnify structures and segments your enterprise information well with facets. This enables better navigation and search experience for your support agents.